We are committed to your needs. Welcome to Stepping Stone Mortgage where our Focus is on Friendly, Knowledgeable and Reliable Customer Service. We are locally owned and operated. Stepping Stone has built a strong reputation as an outstanding Eugene mortgage broker company. We have the best and most experienced residential mortgage brokers. You receive fast, professional service resulting in an easy, pleasant transaction. We educate our customers about the different home loan options and programs available. You get personalized attention. That means you'll always get fast answers to your important questions. 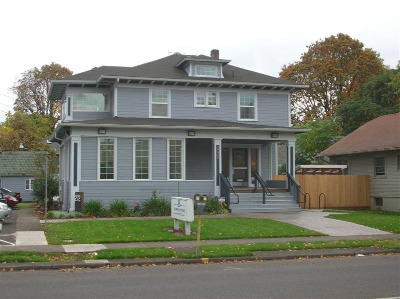 We handle the entire home loan process giving you access to low mortgage rates in Eugene Oregon.